Planet & Rocket replicas, Manchester Museum of Science & Industry, 15 September 2005. 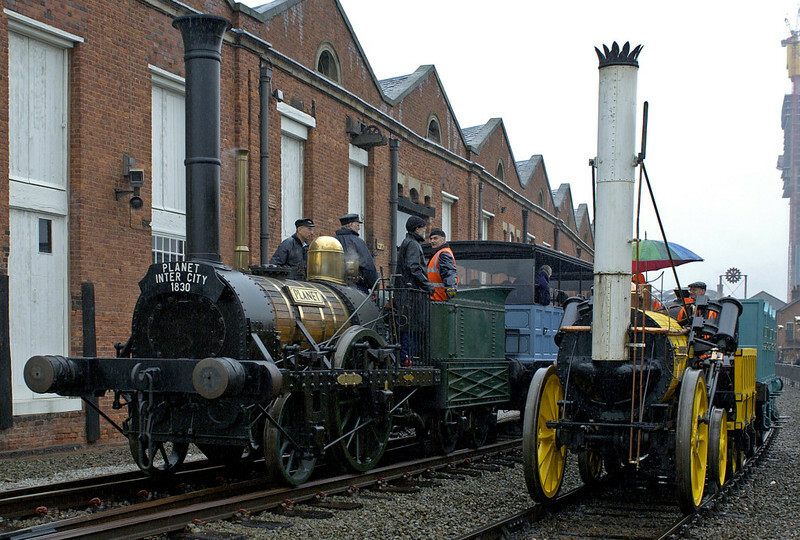 Robert Stephenson built Planet for the Liverpool & Manchester in 1830, only a year after Rocket. It is much more advanced, with a proper smokebox above inside cylinders.